Hey woman, it’s time to stop suffering from your premenstrual syndrome. Evening primrose oil, which is extracted from the seeds of Primrose, has been used for years to restore the balance of hormones in your body which is responsible for creating premenstrual troublesome symptoms. 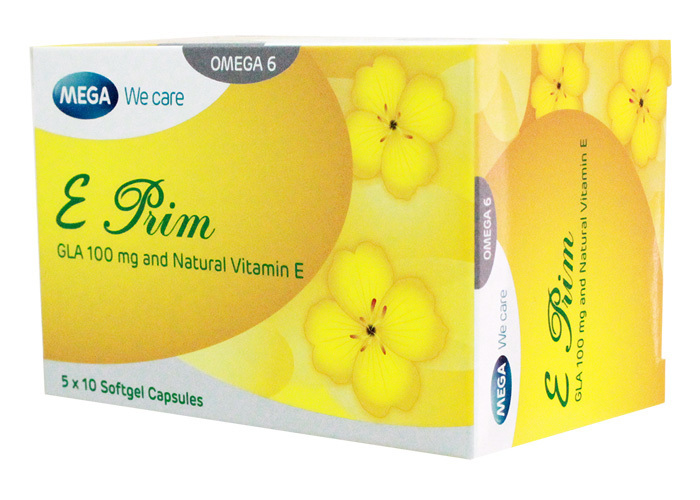 Evening Primrose Oil 1000 mg provides the essential fatty acid-GLA (gamma linolenic acid). It may provide relief from the symptoms of pre-menstrual syndromes (PMS). Evening Primrose Oil 1000 mg may also provide temporary relief of arthritis pain and inflammatory of the skin. 1 capsule 2-3 times daily. Helps maintain the balance of the hormone-like prostaglandins which control many body functions, helps reducing symptoms associated with premenstrual syndrome and atopic eczema/dermatitis.